Over time, your headlight lenses can become yellow, dull, and hazy. Restore your lenses to a like-new appearance at a fraction of the cost of replacing your lenses. Restore two headlights with one kit. Increase driving visibility by removing haze on your headlights in three east steps, with long-lasting results for as long as you own your car. 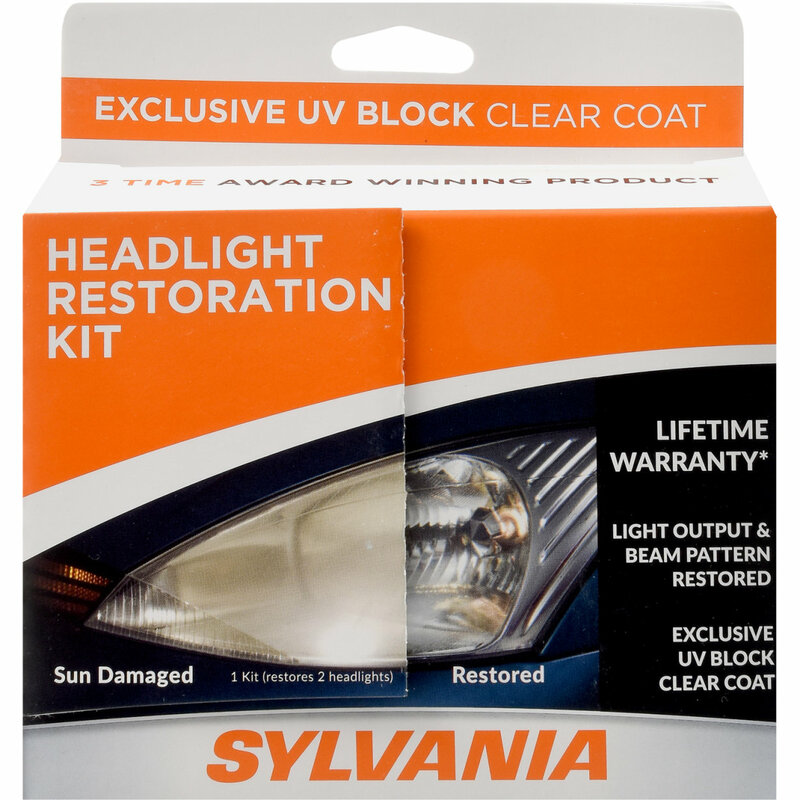 The Sylvania Headlight Restoration Kit includes a proprietary UV Block Clear Coat designed to preserve your lens clarity for long lasting results. Which Restoration Kit Is Right For You? Restore original clarity and vision to sun damaged plastic headlight lenses in three easy steps with the SYLVANIA Headlight Restoration Kit. 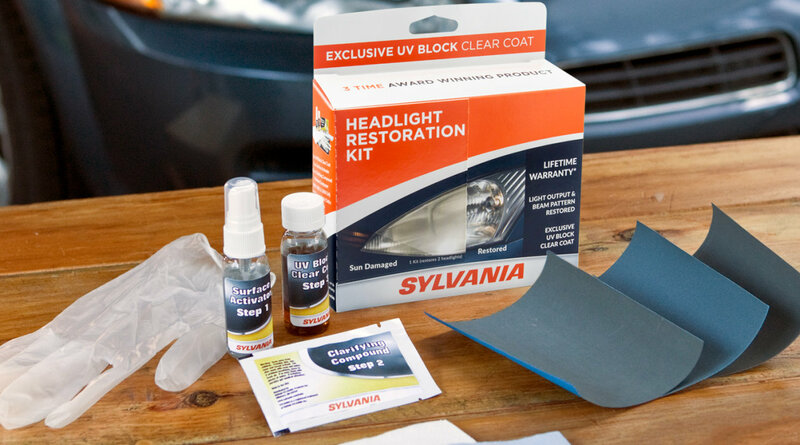 In 3 steps you can restore, maintain and protect your headlights with the SYLVANIA Headlight Restoration Essentials Kit.